Shadow Mask – Laser Hole Drilling in metal substrate. 200 micron holes in 300 micron thick stainless steel material. Potomac drills millions of holes everyday utilizing a variety of processes including lasers and Micro-CNC machines. 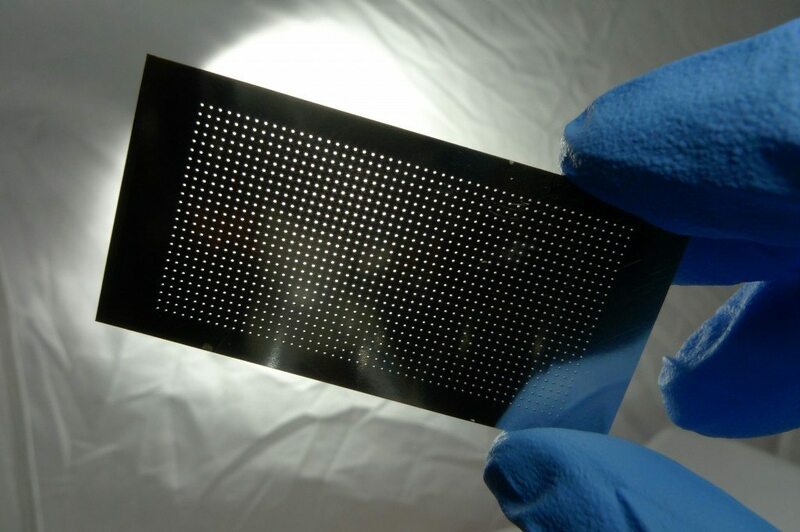 Holes as small as 1 micron can be achieved in many types of materials.